The United States Air Force Academy, located in the foothills of the Rocky Mountains immediately north of Colorado Springs is an institution for the undergraduate education of officers for the United States Air Force. Graduates of the four-year program receive a Bachelor of Science degree and most are commissioned as second lieutenants in the United States Air Force. The breath taking setting and unique architecture make the Academy one of the largest tourist attractions in Colorado, attracting more than a million visitors each year. Our mission is to educate, train, and inspire men and women to become officers of character motivated to lead the United States Air Force in service to our nation. The United States Air Force Academy is the nation’s premier institution for developing leaders of character. So, what do these standards and goals mean to a Cadet? Everything. Cadets will have a well-developed and adaptive intellect. They will be capable of carrying out the Air Force mission in a complex, ambiguous and dynamic environment. 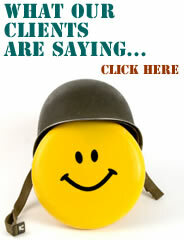 Become an effective communicator: able to present thoughts and ideas in clear concise terms. Cadets will become adept at using teamwork as a primary mission context. Cadets will achieve technological proficiency, applying knowledge and skills to the unique tasks of the military profession. Cadets will be of forthright integrity, voluntarily deciding the right thing to do - and then doing it. Cadets will be selfless in your service to our country, the Air Force and your subordinates. Cadets will display a commitment to excellence in the performance of your personal and professional responsibilities. Cadets will respect the dignity of all human beings. Cadets will be decisive and take full responsibility for your decisions. Cadets will develop the self-discipline, stamina and courage to do your duty well under the most extreme and prolonged conditions of national defense. Cadets will understand the significance of spiritual values and beliefs to your own character development and that of the community. Take pride in the profession. Cadets will be predisposed to a career of service to the Air Force and dedicated to a lifetime of service to the nation. Cadets will be devoted to lifelong personal and professional development. 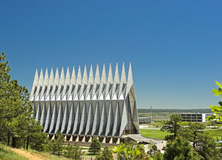 Congress authorized creation of the Air Force Academy in 1954. Harold E. Talbott, then secretary of the Air Force, appointed a commission to assist him in selecting the permanent site. After traveling 21,000 miles and considering 580 proposed sites in 45 states, the commission recommended three locations. From those, Secretary Talbott selected the site near Colorado Springs. The state of Colorado contributed $1 million toward the purchase of the property. On July 11, 1955, the same year construction began, the first class of 306 men were sworn in at a temporary site at Lowry Air Force Base, Denver. Lt. Gen. Hubert R. Harmon, a key figure in the development of the Academy since 1949, was recalled from retirement to become the first superintendent. Two years later, Maj. Gen. Briggs took over as the Academy's second superintendent. During his tour, on Aug. 29, 1958, the wing of 1,145 cadets moved to its present site from Denver. Less than a year later the Academy received accreditation. On March 3, 1964, the authorized strength of the Cadet Wing was increased to 4,417 and later reduced to its present number of 4,000. President Gerald R. Ford signed legislation Oct. 7, 1975, permitting women to enter the nation's military academies. Women entered the Air Force Academy for the first time on June 28, 1976. The first class with women graduated in May 1980. The Academy has provided the Air Force with a corps of officers dedicated to upholding the high standards of the United States. The Air Force has provided a proving ground for these officers and a source for the dedicated staff members who have come to the academy to educate and train these future leaders. Throughout its history, one theme has been constant and persistent a "Commitment to Excellence." And, it's with that theme that the Air Force Academy looks forward to the future. Copyright 2008-2014. Military Cash Back. All rights reserved.